So. Sprint. 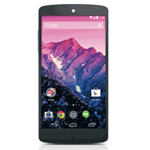 About that KitKat 4.4.3 update you mentioned for the Nexus 5. You haven't seen it lying around anywhere, have you? Because we certainly haven't. And neither have any of our readers. Wherefore art thou, KTU84F? Huh. Doesn't have the same ring. Apparently something has gone wrong over at Sprint, because not only have we not seen the 4.4.3 KTU84F software update headed for any Nexus 5 units, the Sprint support page has removed the brief mention of 4.4.3 from its update chart. Sprint Removes Mention Of The Android 4.4.3 Update For The Nexus 5 From Its Website, No Sign Of OTA Either was written by the awesome team at Android Police.